Let’s start with an important question: why is gift buying so hard? Melamaster have the answer, and it’s pretty simple; time. Finding gifts for people can be tricky when you’re busy all the time. Our lives revolve around a daily hustle of juggling work, home life and socialising. Sometimes you can get wrapped up in leading a busy life and as each day goes by, a special birthday or anniversary that slipped your mind is getting closer and closer. Nobody wants to give a bad present, so when the time comes to buy a gift, what do you look for? Melamaster can help to make sure your loved ones are at the forefront of your mind with a perfect gift for every occasion; guaranteed to put a smile on their faces. 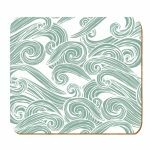 We have a huge range of gifts on offer at Melamaster and we have spent a lot of time in finding the perfect selection to choose from so you don’t have to; ranging from custom printed melamine trays to bespoke melamine mats and bespoke melamine coasters. At Melamaster, we take the stress of buying gifts away so you don’t have to worry. No matter who you are buying for, or what you are looking for, you are guaranteed to find a perfect gift for every occasion at your fingertips; especially with our bespoke melamine ranges. Trying to fit a shopping trip into a busy schedule can be tricky. This is why we have everything you need online. You can search for exactly what you want, pop it in your basket and it is as simple as that. No crowds or queues and more importantly, you don’t have to visit different shops. Shop from the comfort of your home once you’ve made your choice, let us handle the rest. You can take comfort in the knowledge that no matter how big or small your, Melamaster ensure that every order is taken care of from start to finish. If you want a stress free way of buying gifts, let us do the job for you. Visit our range of gifts now. Everybody has kitchen trays and some may even have their very own custom printed melamine trays. Now you’re probably thinking, how can something as simple as kitchen trays have so many uses. Well, Melamaster explore all the possibilities of how you could use their custom printed melamine trays or other melamine tableware. 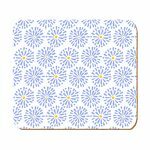 Trays play a vital role when hosting dinner parties or when you’re serving drinks and custom printed melamine trays are the perfect addition. Sometimes, all we need is a little inspiration to get our creativity going and a tray can help pull together any aesthetic look for a kitchen, dining table or functional space. Traditionally, trays are used for serving purposes naturally, yet they can be used to add depth to your counters, shelves and storage places. Custom printed melamine trays can be perfect for every occasion; even for the times you don’t use it. Now that may seem crazy to most people but let us explain why these trays can come in handy in more than one way. The good thing with our custom printed melamine trays is that your tray can be customised just for you. How can you use your custom printed melamine trays? Many kitchen counters are equipped with displays of dishes, bottles, grinders, utensils, spices and other accessories. Some of these are beautifully designed; beautiful enough to keep on display and rightly so. However, one item can lead to another and before you know it, you have an overspill of accessories and nowhere to put them. This is where our handy custom printed melamine trays can come into play. But we don’t just stop here; we’ve got more uses for you. One of our Melamaster trays can be used for preparation of a dinner party or when you are cooking. It can get a little heated in the kitchen and the last thing you want to do is ruin all of your hard work. By simply having one of our trays nearby, you can chuck everything you need on it and transport it around your kitchen. You can even do this prior too service to have a little decorative addition. The beauty of our dynamic range of trays is that you don’t even have to remove it after the event. If you have enough space, why not get creative and place some beautiful pieces on your tray as a permanent decoration in your house. 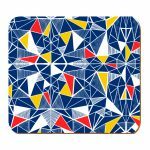 Our custom printed melamine trays can be a great little addition all over your house. For more inspiration, see all of our artists products.